Google panda when launched in Feb 2011, I never thought it will affect the whole online internet marketing industry. Many businesses got wiped out and companies started kicking out content writers, link builders and many more. 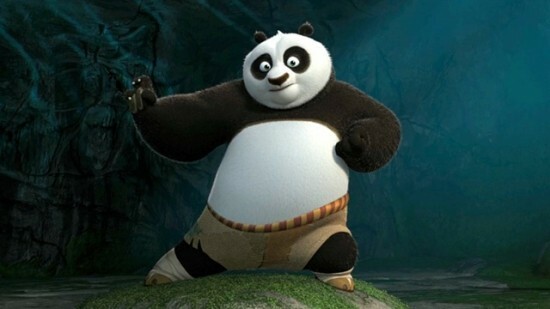 When Panda was launched, people thought it’s just one of those major updates which happens once in a while, but after panda Google started rolling out series of changes month after month and finally it’s time to learn about Google panda optimization technique. You can learn about all Google panda updates here. Now the question is, what techniques you should follow to ensure your blog won’t be affected by Panda. 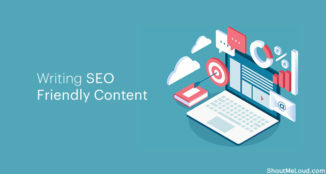 Later in 2012, Google also rolled out over SEO optimization penalty which made SEO’s think that SEO is dead but in recent Google penguine update on April 24th 2012, Google made it clear they have nothing against white hat SEO as it helps in improving the site usability and visibility. 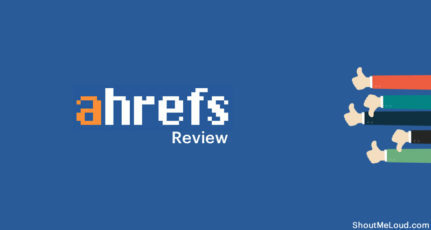 Where you affected by Google’s Panda SEO update? 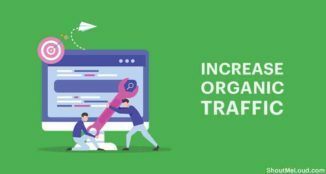 We all know that so many website lost their precious ranking instantly, while a few others gradually declined and got drowned in the ranking game. If you are like most people, you may be thinking, how do I come optimize my blog; web pages and post to please Google? In this article, I want to share with you some proven ways to get started. It’s not my idea, but the creativity behind it is all mine. If you give it a shot, I can guarantee you success, both for the infected sites and your new projects. Google panda updates is not a development by almighty “G” to kill your business, rather they want to position you well for the future. If you don’t take action now and set your priorities right, a lot of trends are going to render you bankrupt. After the last update rolled out, niche marketing became so visible. You should start looking this way, if you want to win in the ranking game. Google is desperate for blogs and sites that are well-defined, in terms of what they actually do. What contents do you write? Who are your target audience. Is the students, business entrepreneurs, bloggers or everyone? If You are targeting everyone, I suggest you quit marketing and go look for a “good” 9 – 5 job. You can’t market to everyone and expect to perform well in life. You need a clear goal, the right planning and who your exact audience are. If your blog is about “web traffic,” then write contents that are geared towards that. 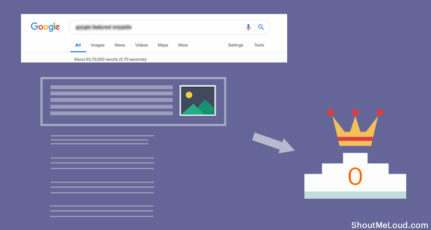 You should give Google a direction to crawl your site. Some sites I’ve seen are pretty difficult to navigate. When you arrive there, either from direct, referral or via the search engines, you keep asking yourself what the site is all about. If your visitors cannot figure out what you do, how to contact you, were to read your “popular posts” or whatever you call it, Google spiders won’t either. These search engine algorithm act like humans. They are intelligent, that’s why you can’t stuff your web pages with keywords and expect to rank well. If they weren’t intelligent, but only machine with codes here and there, they would have discovered crappy pages. Bottom line: make your web pages easy to navigate. 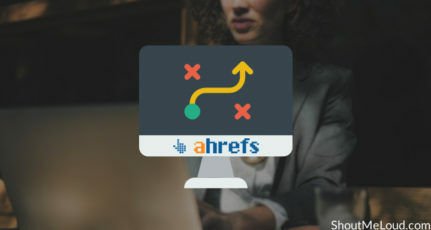 Create and submit your sitemap to Google, and give clear direction to where your web pages and hidden pages are located. It’s very important. When people are confused about your blog or site, Google would follow too. There is a place for short articles, but when it’s detailed, it’s an indication that you know the topic in and out. For instance, there is no way you can teach someone how to rank on Google with a 500-word article, it has to be more than that or else, Google will see it as crappy. A blog post is quite different from the traditional articles we submit to ezinearticles.com and others. In your blog, you want to explain a specific topic, write the pros and cons and direct readers to learn more. You can’t make it to Google’s Top 10 all the time with a 300 – 500-word count, extend it. I know what you are thinking right now. Well, I know it’s possible to write a quality article in 300 – 500 word, but that’s for the skilled writers. Are you really skilled and do you command words like Hemmingway? I’ve mastered the act of writing detailed blog posts. 700 – 1200 word count is ideal. Take a look at ShoutMeLoud.com to see how detailed his posts are. Building backlinks is very important to search engine ranking. Even after the update went live, several sites that have few backlinks were dumped. But there is a litmus test in this instant. It’s not the amount of backlinks you’ve, but how relevant the links are. When building your backlinks in this new age, ensure the links are from respected sites, blogs and discussion boards in your niche. For instance, if you’re into gardening, you should get your backlinks more from gardening blogs and sites. It may not be easy, and that’s where guest posting comes in. Write guest posts and distribute them across niche blogs. You’ll get quality, relevant and unique backlinks that counts. As much as you can, avoid submitting your articles to article directories, these sites aren’t targeted. 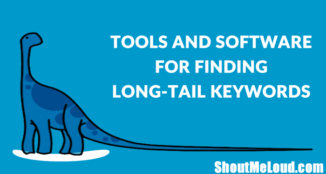 Stick to niche backlink channel and enjoy the weighty back links. Stop using any automated ways to create links and especially using any paid services, which offers quality PR2-3 backlinks, as most of them uses private blog networks to build links and it does more harm than any good. There is no better day to start using social media, than today. Social media helps you to connect, share and network with like minds in your niche. These web 2.0 sites are user friendly, and so Google places a great emphasis on sites that made are social-friendly. Social media giants like Facebook, twitter and linked in are powerful sites that you can leverage and build a strong relationship with your target audience. Whatever your niche is, you can streamline your marketing campaigns to align with customer’s choice. I simply channeled my marketing campaigns to online shoppers, who want to save money. And that has really been rewarding in terms of lead, responsiveness, and sales. Google panda optimization is all about giving quality to your readers and search engines. Google and other search companies have a definite goal. That goal is to make the web a safer, better and interesting place to be in. They want to deliver the right results to their users when a search is conducted. How do you feel when you discover what you’re looking for within seconds, I’m sure you will come back to that search engine the next morning? That’s the goal of Google. Join the chariot, write quality contents, concentrate on relevant backlinks and share your contents via social media. It pays great dividends. Michael Chibuzor is a Freelance Writer and often writes about discount deals at coupon blogs that share sitter city Coupon & 6pm discounts. He is currently contributing to a coupon site that offers a free sittercity promo codes and 6pm online coupons. thanks for the great tips. they are basic, nothing extra-ordinary, yet very powerful when implemented. would suggest to my friends. I must say the article’s time was just right. Thanks for the detailed article. However, I have a query, I am a Career Coach and am planning to write everything about career. Also, I have developed interest in Simplicity and Productivity. Can I write articles on these 2-3 areas? I hope this will not create a problem. Please give a solution to it. Write quality articles – articles that are long, informative, unique and highly useful. This would ensure people start sharing them on social media sites — and also readers tend to link or quote within their articles. … And I have seen working it on my blog. Some times back I have penalized by Google for one of my tech blog and its traffic decreased to half an amount of what we got, I thought that was under Google panda algorithm. After 2 days I realized that the penalization was not under Google panda that I had added Amazon affiliate widgets on my blog. Then I searched on Google with the query that someone says Google may penalize if we put some affiliate widgets / links. Do you guys anyone facing the problem like this? Nice explanation, your are straight forward to the topic. Many blogs are effected by the google panda. Till now i didn’t know how to get rid of that effect thanks for this post. I will do the necessary steps towards to regain my traffic. Keep up dude. I have tried several other methods to protect my blog from the effect of google panda and have almost succeeded. Let me try your tips. I will update the results. As an SEO’n, i got one doubt that, how to know whether site got penalized by panda, penguin or by any other algorithm?…Because one of my site sounds bad (thin content) and got around 650 unnatural links. I already Disavowed the 650 links but there is no gain in traffic (before the penalizing the traffic was 350-450 visitors and now its dropped to 20-25) and how long it will take recover once we got penguin affect?